Going along with the 70’s theme in fall’s collections, corduroy is big. 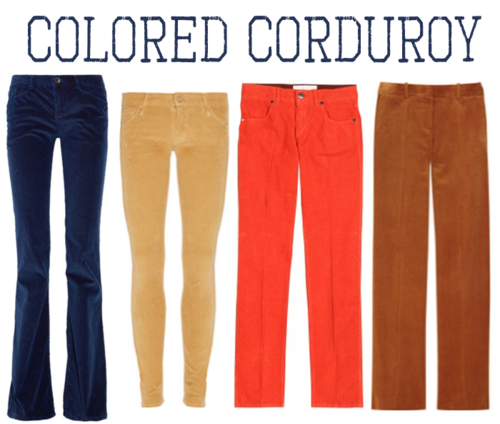 As an added flair on this trend, we’re seeing a lot of colored corduroy pants in particular. Our faves are the Theyskens’ Theory navy bell-bottoms. Which are yours?